Welcome back to The Gould! 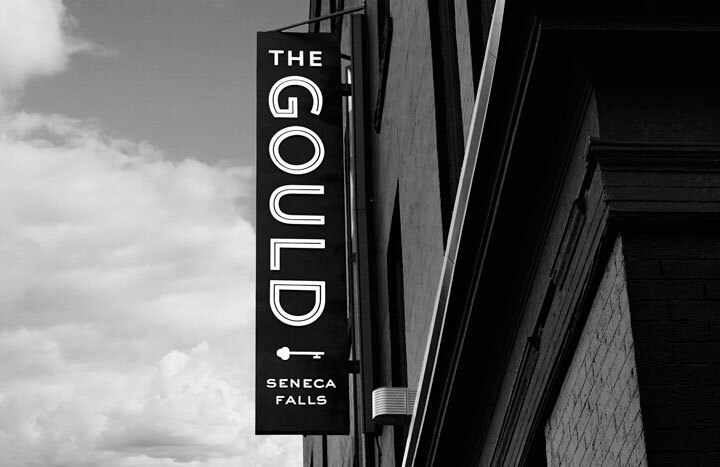 The logos and signage are part of an ongoing rebrand of The Gould Hotel in Seneca Falls, New York. 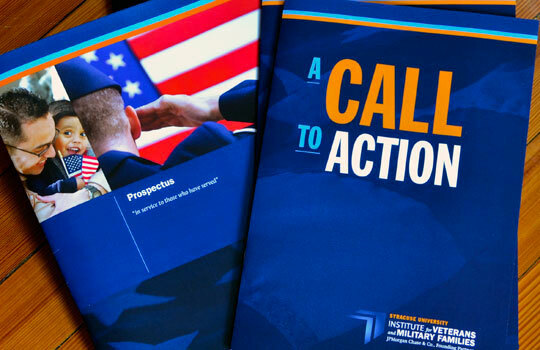 Every once and a while—no matter how much I try to avoid it—a client needs a rush design and printing job, like this package put together in record time for the Syracuse University Institute for Veterans and Military Families’ spring board meeting. This is work? That’s how I felt while designing a recent commission from Syracuse University’s University College (UC) for the cover of its fall 2012 course schedule. 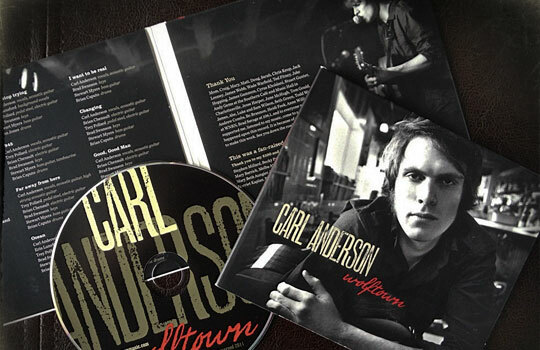 Last winter, I had the opportunity to design the CD package for a Kickstarter-funded project by Charlottesville, Va., singer-songwriter Carl Anderson. Seeing the amazing photos of the musician taken by Doug Lloyd of East Lake Studios sealed the deal. The GiansantiDesign-ed website for Syracuse city school board candidate Michelle Mignano embraced turquoise and orange, standing out from the sea of red, white, and blue campaign sites. “People always remark how the first impression means everything—well I’m here to say it’s true. I don’t think people would have walked through the doors as quickly as they did if it weren’t for Joanna’s work creating the brand and website for my fitness studio,” says Pulse owner Tammy Panzironi. 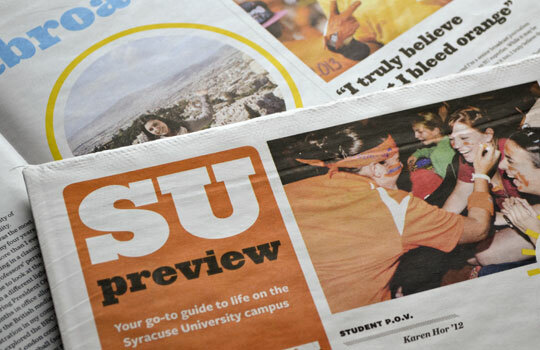 SU Preview is the incoming student’s “go-to guide to life on the Syracuse University campus.” This summer, the university contacted me to bring a fresh, magazine-feel to this tabloid. Much to my surprise, I found working with newsprint’s limited color palette and printing capabilities refreshing. 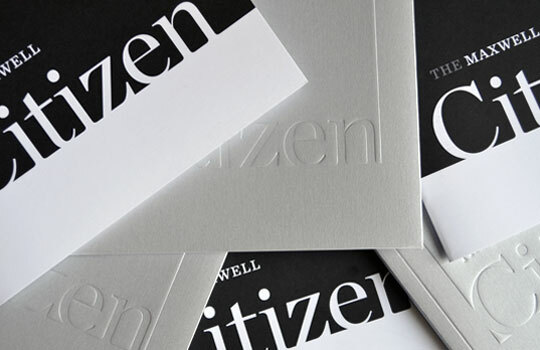 The Maxwell Citizen highlights the concept of citizenship, which is at the core of the Maxwell School tradition. The essays in the gate-fold, perfect-bound booklet (designed as a donor premium) and its companion saddle-stitched version (distributed to graduating students) stress the school’s values beautifully. 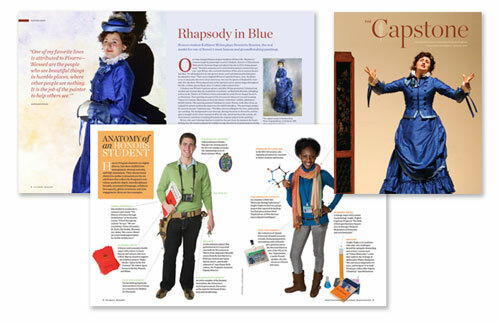 The Capstone magazine: Chock-full of engaging content and bursting with eye-popping color, the sophomore issue of the Syracuse University Honors Program magazine, The Capstone, hit mailboxes this month. The Nottingham direct mail series: When your ‘product’ is an experience, why not let those who live it firsthand tell your story?